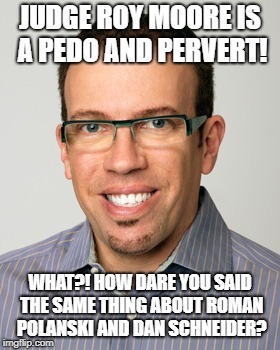 JUDGE ROY MOORE IS A PEDO AND PERVERT! WHAT?! HOW DARE YOU SAID THE SAME THING ABOUT ROMAN POLANSKI AND DAN SCHNEIDER?